Show your Laredo All Star Spirit! The bears, while representing a certain team, are artistic endeavors. Each bear turns out to be unique unless someone specifically wants an identical item. 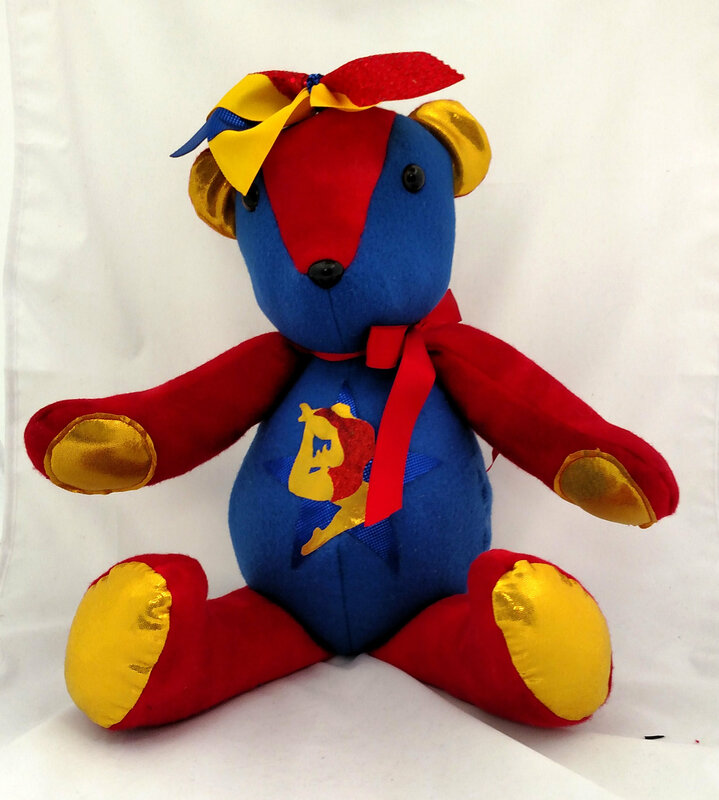 Bear is made of soft fleece with fabric highlights made of the same type of material as your cheer or dance uniform. The team logo is featured on the belly. 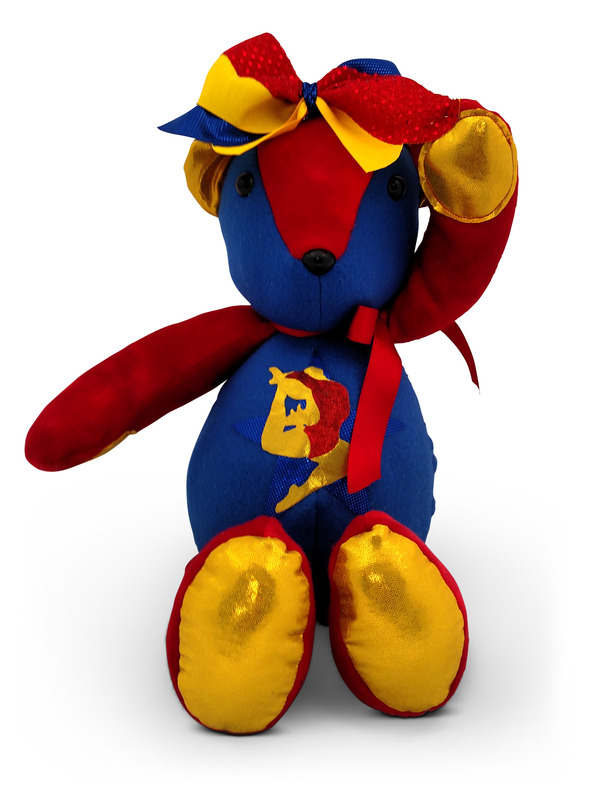 The bow is detachable and comes with a pony-o attached so you can wear it yourself! 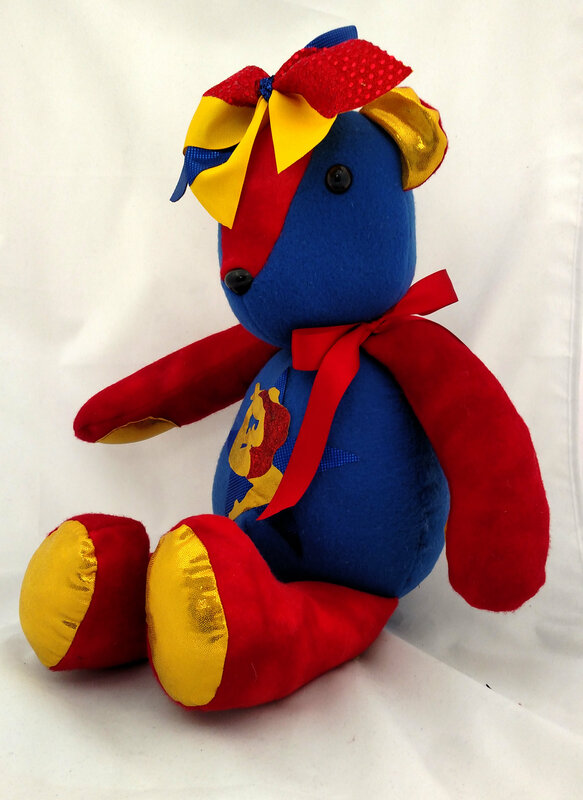 View even more samples in our Spirit Bear Gallery!